The Interface® leadership team brings together a broad range of backgrounds and a diversity of perspectives to lead and inspire innovation, collaboration, and a shared commitment to create value for Interface’s key stakeholders including its customers, employees, investors, and the environment. Jay is the President and CEO of Interface, Inc. He joined the company in 2015 and became only the third CEO in the company’s 44-year history in early 2017. Jay has set Interface’s path forward with a new strategic vision to lead the organization into its next phase of growth, building upon his expertise in transforming business through purpose. Through his leadership, Jay is driving Interface and its talented, global team to become the world’s most valuable interior products and services company, delivering superior value for its key stakeholders: customers, shareowners, employees, and the environment. Over the past 18 months the company has embarked on two new value creation drivers. First, the company launched its first global category expansion into the modular resilient flooring segment. Secondly, the company has embarked on a new sustainability mission, Climate Take Back, to demonstrate that industry can profitably operate with a carbon negative business model. 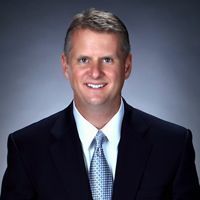 Prior to joining Interface, Jay served as CEO of American Standard Brands, where he re- energized the 138-year- old brand and led a financial turnaround including top-line growth, cost-cutting, and innovation leadership. Jay has worked internationally for more than 20 years and spent several years living in Japan. He helped to globalize brands such as Minute Maid, Dasani, Graco and Rubbermaid. He successfully built new business platforms in Europe and Asia, which included key acquisitions in Germany, Japan and China. Over his career Jay has held marketing and general management roles at leading branded-goods companies including General Mills, Coca-Cola, Campbell Soup and Newell Brands. David is the Vice President, General Counsel & Secretary of Interface, Inc. He was promoted to the role in January 2017 and is responsible for overseeing all legal affairs in the company, as well as corporate governance and supporting the Board of Directors in the carrying out of its fiduciary duties. David joined Interface in October 1999 as Associate Counsel. He was then promoted to Assistant Secretary in April 2002, Senior Counsel in April 2006, Assistant Vice President in April 2007, Vice President in July 2012, and Associate General Counsel in May 2014, before taking on the current role. Prior to Interface, he practiced with an Atlanta-based international law firm. He received his Doctor of Law degree from Vanderbilt University Law School and his Bachelor of Business Administration from the University of Kentucky. Bruce Hausmann joined Interface in April 2017 as Vice President and Chief Financial Officer. Bruce leads the company’s global financial operations. He is responsible for overall leadership of Interface’s finance, accounting, tax, treasury, risk management, financial reporting, and investor relations. Bruce is a seasoned corporate and operational finance leader with over 25 years of experience in various industries (Technology, Managed Services, Consumer Products, Commercial Industrials) with public, private equity, and venture-backed capital structures. Before Interface, Bruce was with Aramark Corporation for eight years where he last served as Senior Vice President and Chief Financial Officer for Aramark’s Uniform and Refreshment Services business units. 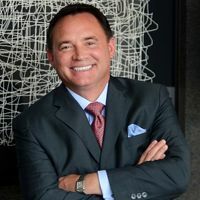 At Aramark, he led a team of 700 financial and operational associates, providing financial leadership and operational management for two profitable lines of business servicing 400,000 customers, with combined annual revenue of more than $2 billion. 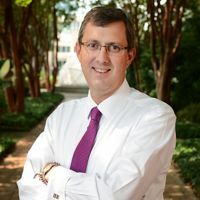 Prior to Aramark, Bruce served for seven years at The Walt Disney Company, most recently as Vice President and Segment Controller for the Interactive Media Group. At Disney he oversaw day-to- day financial controllership for operations in 42 countries. Additionally, he was integral in closing seven acquisitions, most of them international. Bruce started his professional career in Silicon Valley, where he held senior finance positions with four early stage technology start-ups. All four companies were successful, as Bruce played an essential role in helping two get acquired and two with their IPO. He received his Bachelor of Science degree in Finance from Arizona State University and is a Certified Public Accountant (inactive status). He resides with his family in Atlanta. Sanjay Lall joined Interface in May 2012 and serves as Vice President and Chief Information Officer. In his current role, Mr. Lall is responsible for the overall technology direction at Interface, Inc. and for harmonizing and enhancing information technology resources globally. He sees enterprise mobility, social business and cloud computing among the top macro trends affecting business technology today. Mr. Lall possesses more than 27 years of technical management experience melding technical know-how and business acumen to reach organizational goals through improved processes and technologies. He excels at leading teams and establishing consensus between disparate functions, cultures and levels throughout organizations. Mr. Lall’s experience spans diverse industries including safety and security, water and beverage, healthcare, auto and service. Prior to Interface, he served as Vice President and Chief Information Officer at SimplexGrinnell, a $2 billion business unit of Tyco Corporation, a leader in fire and safety products and monitoring services highly dependent on technology. There he was responsible for activities across the enterprise related to technical infrastructure, architecture and application management. In 2011, Mr. Lall was recognized by Manufacturing Automation’s “Progressive Manufacturing Awards” for a mobile application that allowed SimplexGrinnell to perform field inspections 25-percent faster with 90-percent fewer errors. 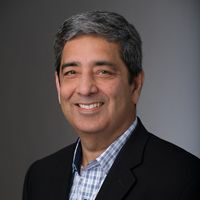 Throughout his career, Mr. Lall has planned, directed and championed global information systems, achieved business objectives, facilitated business growth, transformed IT presence and influence, improved customer service quality, strengthened operations and contributed positively to bottom lines. 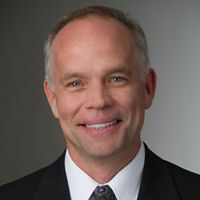 He served as Vice President and Chief Information Officer at STERIS Corporation, a global medical device manufacturer and marketer for infection prevention, contamination control and surgical and critical care products. He was also Vice President and Chief Information Officer for Suntory Water Group, the second largest U.S. manufacturer, marketer and distributor of bottled water. Previously, Mr. Lall took on roles with progressive technology management responsibilities at Chutney Technologies, a venture capital backed startup; The Coca-Cola Company; GTE / Contel; General Electric and General Motors. Mr. Lall earned an M.S. degree in computer science from the University of Miami, Fla. He earned a B.Commerce degree with honors in accounting and finance from the University of Delhi, India. Mr. Lall resides in Atlanta with his wife and two children. He enjoys traveling the world with his family. As Chief Sustainability Officer, Erin leads a global team that provides technical assistance and support to the company’s global business, addressing sustainability at all levels –from operations and management, to employees and customers, and in policy forums. Erin and her team are also responsible for developing industry-leading approaches to measurement, driving transparency and innovation in the field of sustainability. This includes creating a framework for and implementing the company's newest sustainability mission Climate Take Back, while also capturing successes as the company nears its Mission Zero targets in 2020. 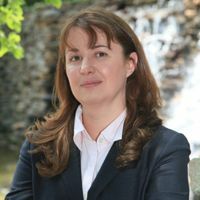 Erin is a frequent lecturer on sustainable business to senior management teams, universities and the growing green consumer sector to audiences around the world, including China, Singapore, Hong Kong, the United States and Europe. Past speaking engagements include Bioneers, Greenbuild, SXSW, Conscious Capitalism and others. She has also participated in forums during the COP21 climate talks in Paris and served as a guest faculty member at Harvard University for the Executive Education for Sustainability Leadership program. 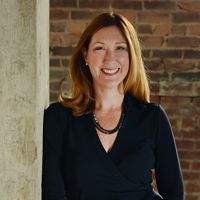 Outside of Interface, Erin serves as an advisory board member for the Sustainable Entrepreneurship MBA (SEMBA) program at the University of Vermont's Grossman School of Business. Matt Miller was appointed President of Interface Americas in June 2016, assuming leadership of the company’s entire value chain in the U.S.A., Canada and Latin America and South America. Miller joined Interface in 2015 as Chief Strategy Officer. Prior to joining Interface, Matt was Senior Vice President of Innovation & Strategy for American Standard. Previously he held management positions in finance, strategy and business development at Newell Brands, Kraft Foods and Zyman Group. Matt has a bachelor’s in business from Emory University and an MBA from Duke University. He has lived in Atlanta since 1999 with his wife and their three children. 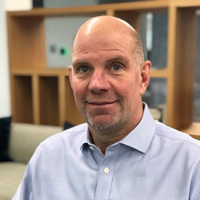 Andreas Mueller joined Interface as Chief Customer Officer in January 2019. In his role, Andreas is responsible for global business development, as well as advancing sales technology and tools that serve as the backbone for Interface’s world class selling system. As a member of the Global Leadership Team, Andreas works closely with Interface’s regional leaders to drive sustainable growth and long-term customer intimacy. Prior to joining Interface, Andreas served as the global CEO for nora systems since 2013. He started his career in HR and then moved into sales in Germany for nora systems. In 1996, he relocated to the U.S. to establish nora systems’ market segment and accelerated growth strategies. As VP of Sales, he was involved in the development and successful implementation of the company’s unique selling system before moving into the role of CEO. Katy is responsible for the development and oversight of human resources strategies and initiatives for talent management, organization development, learning, compensation, culture and diversity for Interface associates, globally. She came to Interface from Taylor Morrison, a $2.5 billion publicly traded North American real estate developer and home builder based in Phoenix. Prior to that, she held several HR positions with experience across the U.S. and Europe with companies including McKesson Technology Solutions, Check-Free Corporation and Lanier Worldwide. She has a bachelor’s of science degree from Georgia State University and lives in Atlanta. In his role, Nigel is responsible for setting and leading the company’s growth strategy throughout the EAAA region. This includes driving growth in the core carpet tile and resilient flooring business, while also bringing new offerings to market and delivering supply chain efficiencies. He is also spearheading the Interface Climate Take Back mission focused on reversing global warming and creating a positive impact on the environment. 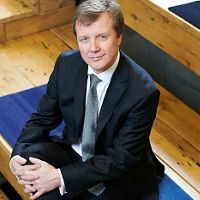 Since first joining the Interface global project team in 1997, Nigel has gone on to pursue roles in supply chain, research and development, and product, design and innovation. In 2012, Nigel became a member of the global leadership team. Most recently, he held the position of EMEA, President. Nigel has over 30 years’ experience as a textile technologist, and is an expert in yarn, carpet and carpet manufacturing.